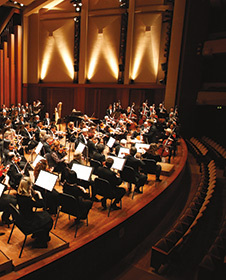 Ludovic Morlot and David Alexander Rahbee conduct the Seattle Symphony in a program featuring music by Seth Krimsky, Richard Karpen and Páll Ragnar Pálsson, and the University of Washington faculty members Melia Watras and Sæunn Thorsteinsdóttir. Hailed by Gramophone as “an artist of commanding and poetic personality” and by The Strad as “staggeringly virtuosic,” violist/composer Melia Watras has distinguished herself as one of her instrument’s leading voices. 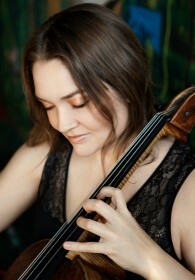 She has performed in venues such as Carnegie Hall, Weill Recital Hall, and Alice Tully Hall, while achieving acclaim as an established recording artist. Recent highlights include the release of her latest disc from the Sono Luminus label, 26, which features world premiere recordings of her own compositions, and video projects with violist Garth Knox (performing with Knox on his duos, Viola Spaces for Two) and video artist Ha Na Lee.